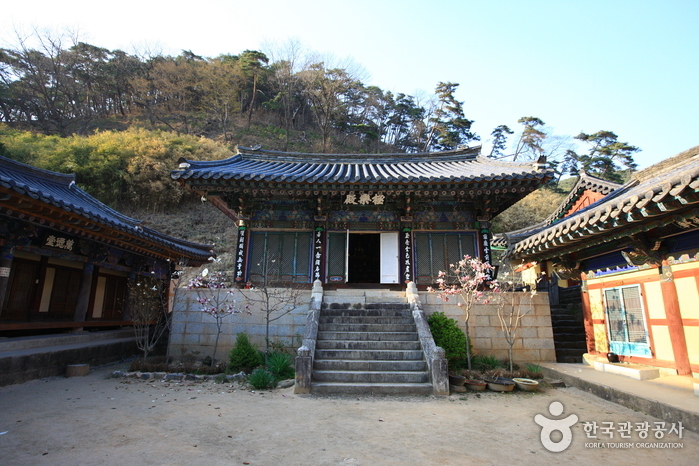 Gounsa Temple lies on Mt. 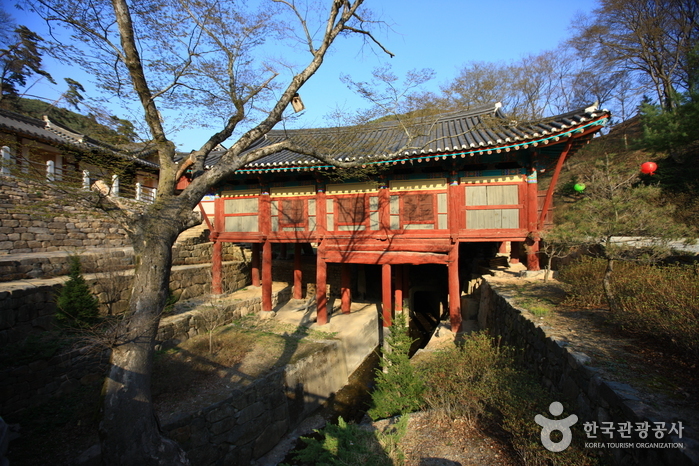 Deungun, located in Uiseong, Gyeongsangbuk-do, and was built by Monk Uisang in 681 during the reign of King Sinmun of the Silla Kingdom. 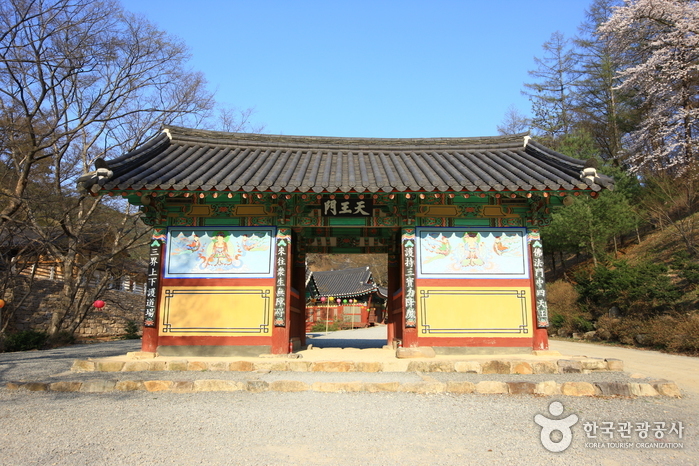 Although the pronunciation of the name was never changed, its meaning slightly changed from “High Cloud Temple” to “Solitary Cloud Temple” after Choi Chi-won—a renowned scholar in the late Silla Period—helped to build two pavilions (Gaunru and Uhwaru) and renamed it. 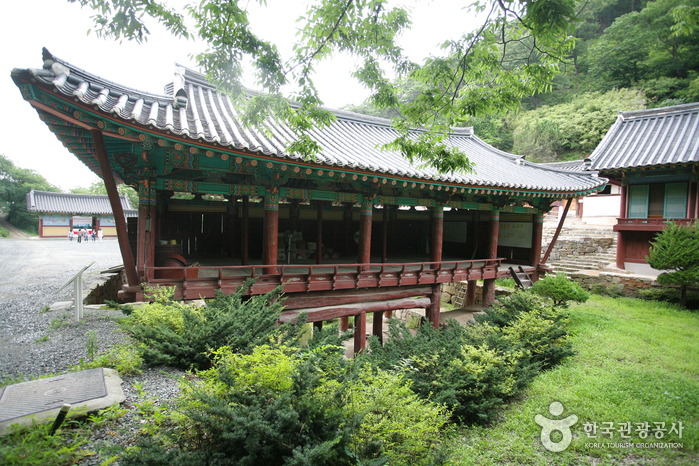 It is Branch Temple No.16 of the Korean Buddhist order, Jogyejong, and manages temples in Uiseong, Andong, Yeongju, Bonghwa, and Yeongyang. 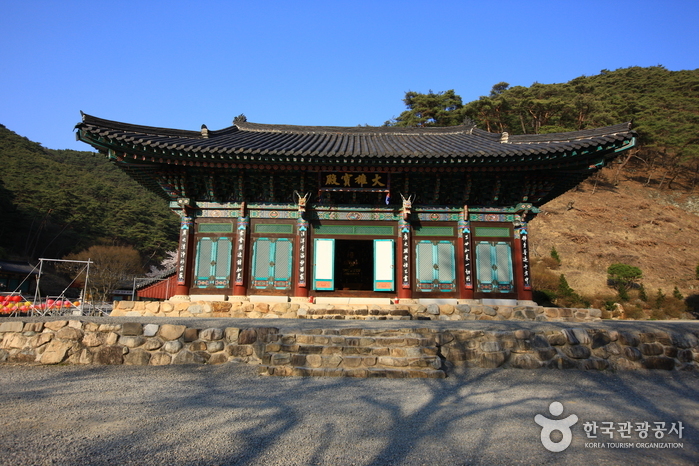 Befitting its meaning, the temple is surrounded by outstanding scenery on Mt. 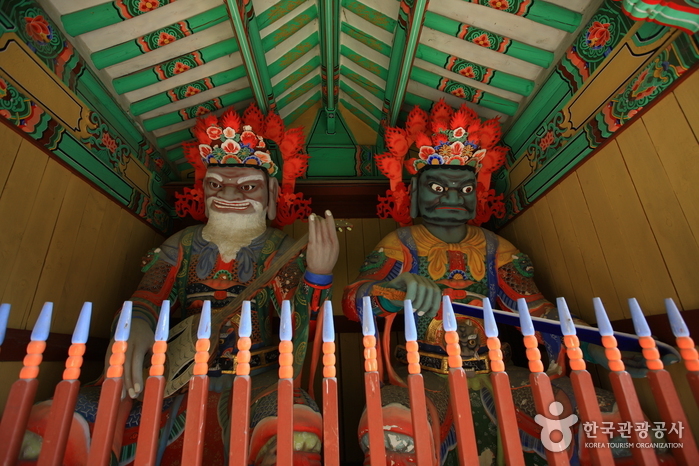 Deungun (meaning “Riding on the Clouds”). 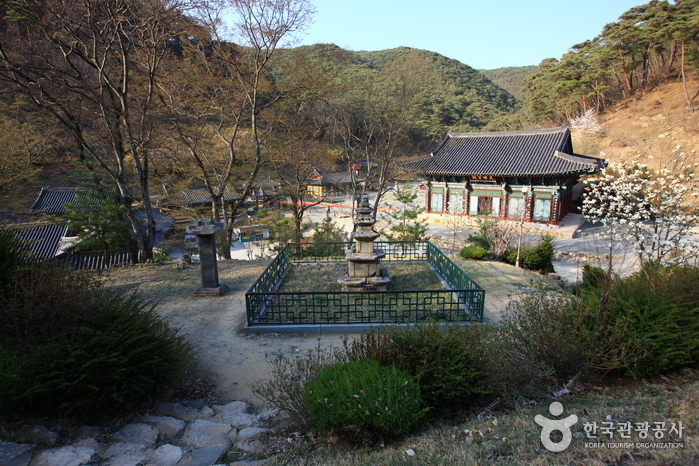 Quite isolated from villages, the temple is a very quiet, serene place. 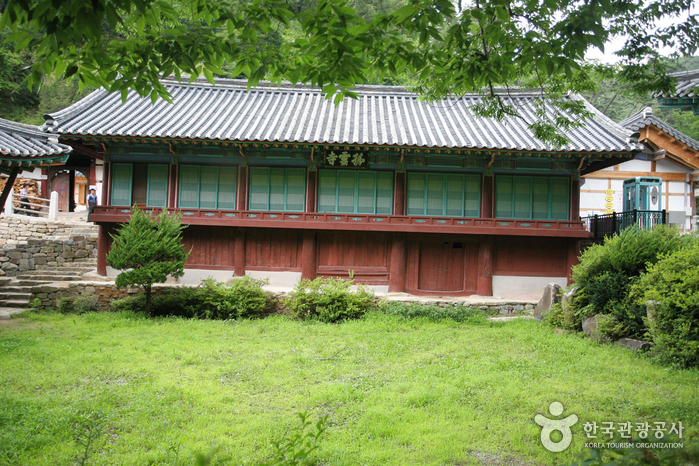 Gounsa Temple is home to one of the most cherished pieces of architecture, Gaunru (“Floating over the Clouds”). 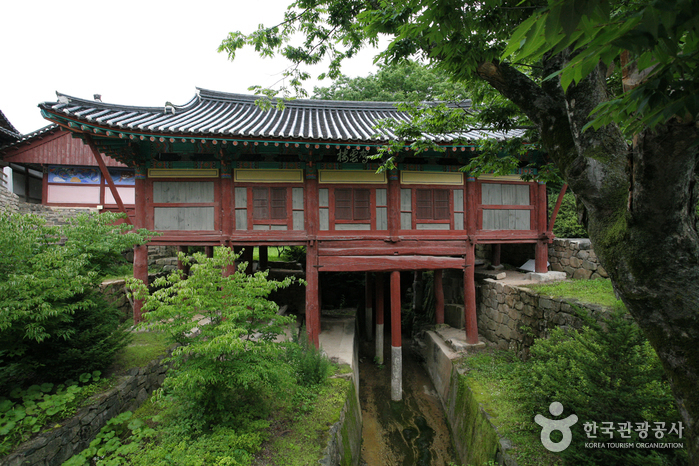 This elegant pavilion is propped up by wooden columns, which are, in turn, supported by foundation stones. Naturally, it looks as if the pavilion placed its feet in the water while standing. 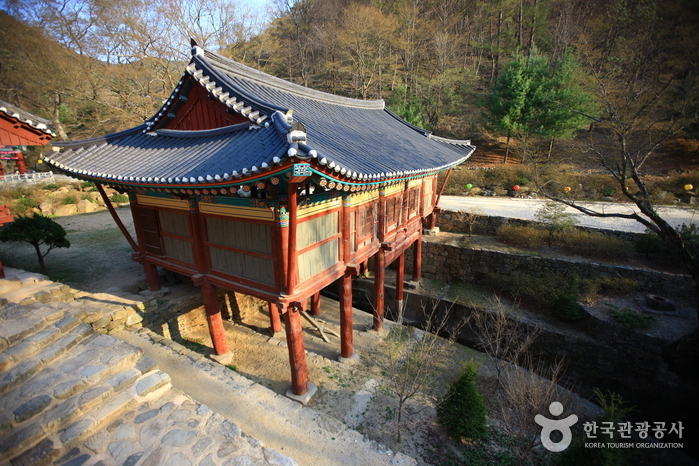 Among the many buildings comprising the temple complex, Yeonsujeon Hall is a unique building that was built to store Eocheop (the genealogical record of royal families) in 1774 (20th year of King Yeongjo). 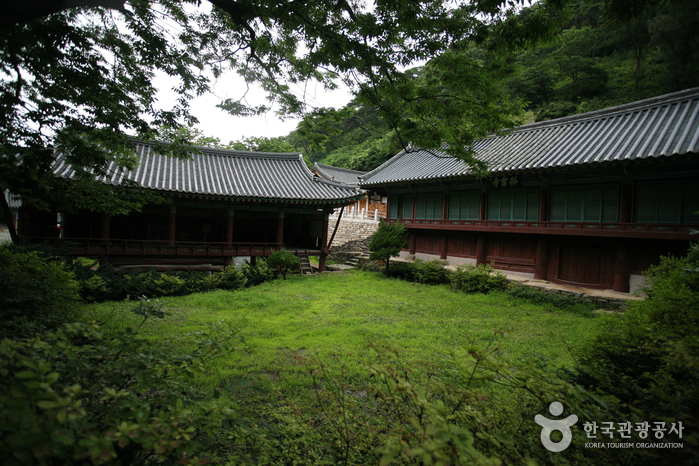 As a royal building, it shows the Confucian architectural style, different from other Buddhist buildings within the temple. 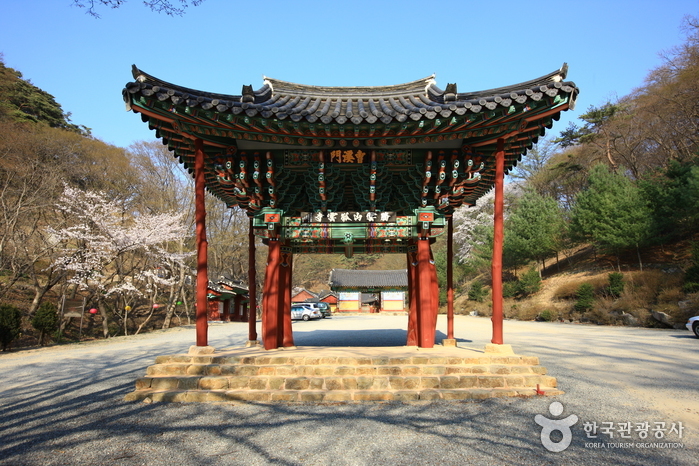 In addition, the temple is home to such precious cultural properties as Seokjo Seokgayeorae Jwasang (a Buddhist statue designated as National Treasure No. 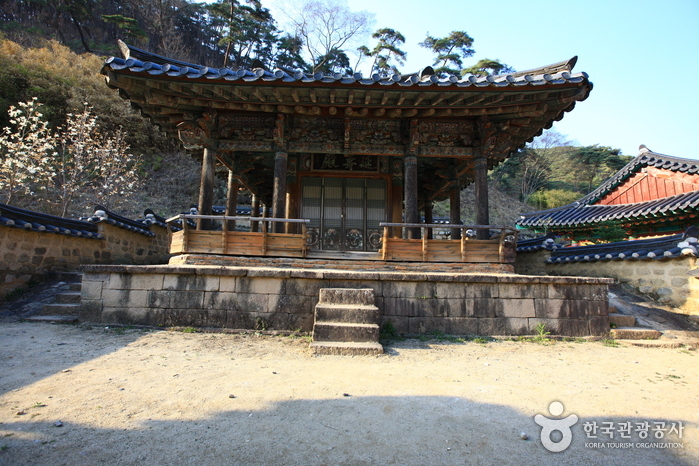 246) and a three-story pagoda.